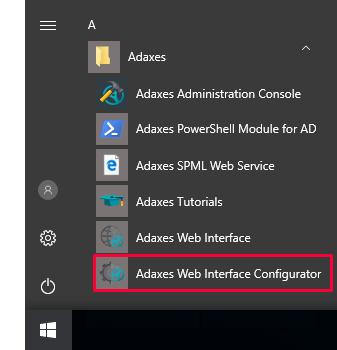 The Actions pane provides access to frequently used operations from any page in Adaxes Web Interface. On the Home page, the pane is always visible, and is located in the left or middle part of the page. On other pages, the Actions pane is available from the menu located in the top left corner of the page. 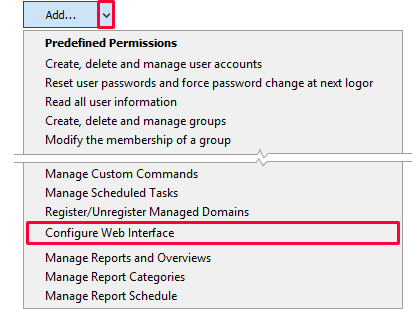 Apart from operations on Active Directory objects, the Actions pane can contain Custom Commands, links to external web sites, operations on Exchange mailboxes, etc. Each operation has a number of settings that you can customize to simplify the user experience and minimize the steps necessary for its execution. 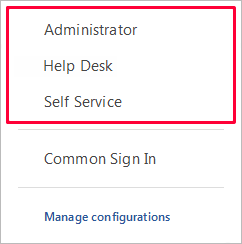 In this tutorial, you will learn how to configure which operations are available on the Actions pane and how to change settings of individual operations. To add, edit, delete and move operations, use the buttons located at the bottom of the Actions section. To hide an operation, uncheck it in the list. 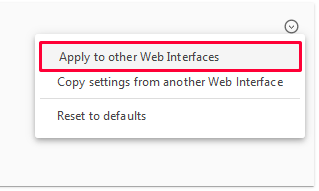 To allow users to perform an operation from the Actions pane only, you need to disable it for the rest of the Web Interface components. 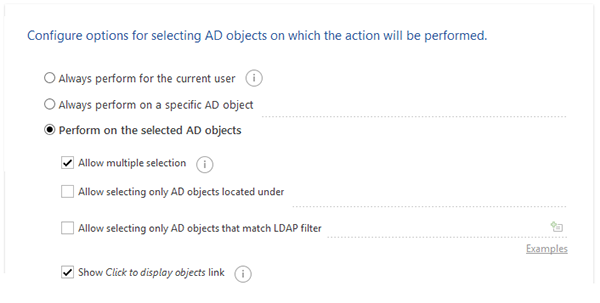 For details, see Disable Operations on AD Objects. Operations can be organized into groups. 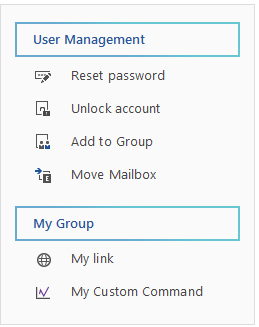 To add a group, click the Add Group button located at the bottom of the operation list. 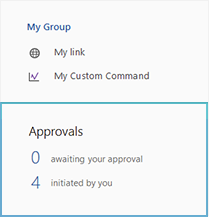 To add an operation to a group, select the group first, and then click the Add button. 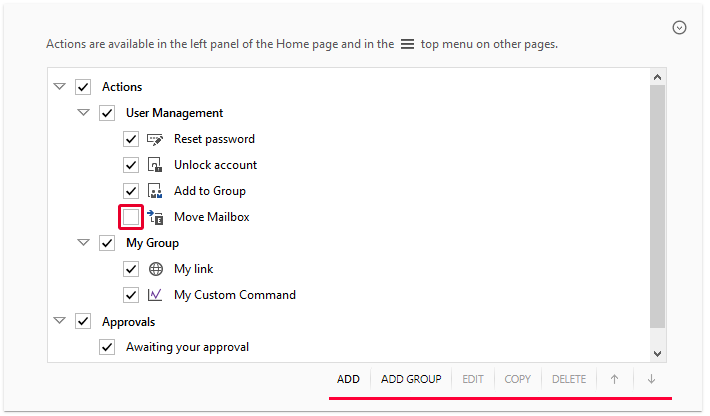 To move an operation between groups, select it, and use the and buttons. If necessary, you can change the icon and description of an operation. Select an operation and click Edit. In the dialog that opens, change the icon and description of the selected operation. The description text is displayed in a tooltip. For some operations you can provide a confirmation text that will be displayed before operation execution. In the dialog that opens, enter the message text in the Confirmation field. 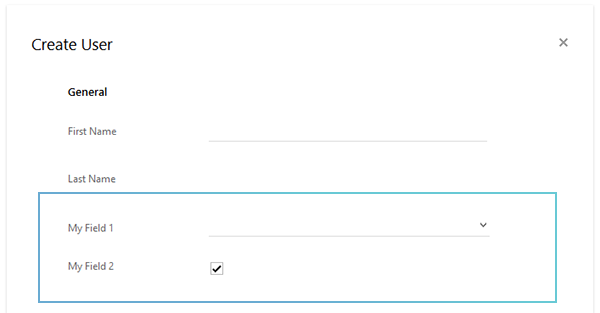 If you don't want any confirmation to be displayed, leave the Confirmation field blank. You can configure a number of settings related to the selection of the object which an operation will be performed on. For example, you can allow users to select only the objects located in a specific Organizational Unit. Also, you can allow selecting only specific types of objects or objects that match an LDAP filter. For example, security groups with the word Department in their names. For some operations, you can allow multiple selection of objects. It is also possible to disable object selection and configure an operation to be always performed on a specific Active Directory object, or on the account of the user who initiated it. In the dialog that opens, activate the Object Selection tab. The tab name can differ depending on the selected operation. For example, it can be Group Selection or Member Selection. 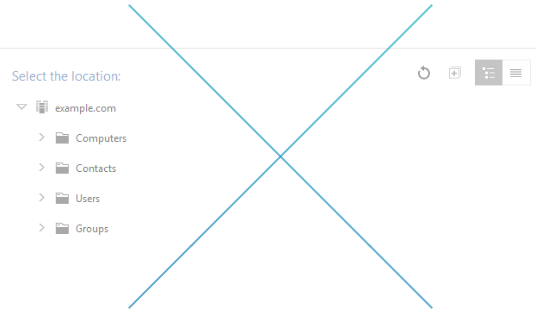 Configure the object selection settings. You can configure settings for object selection in such a way that the list of objects available for selection will differ depending on who is logged in. For example, you can allow users to select only the objects located in their own Organizational Unit, or objects that contain the name of the user's department in their name. To have different settings for different users, you need to use value references. 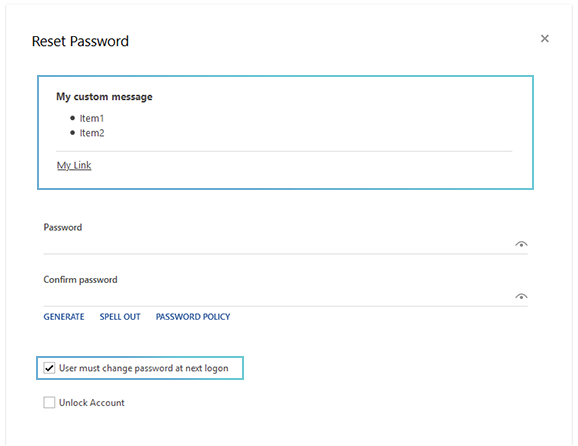 Value references will be replaced with corresponding account properties of the logged in user. For example, value reference %department% will be replaced with the value of the Department property of the user. In the dialog that opens, click Template. In the Template field, specify a template for the distinguished name (DN) of an Active Directory object. For the Create, Copy and Move operations, you can configure options for selecting the location where an object will be created, copied or moved. 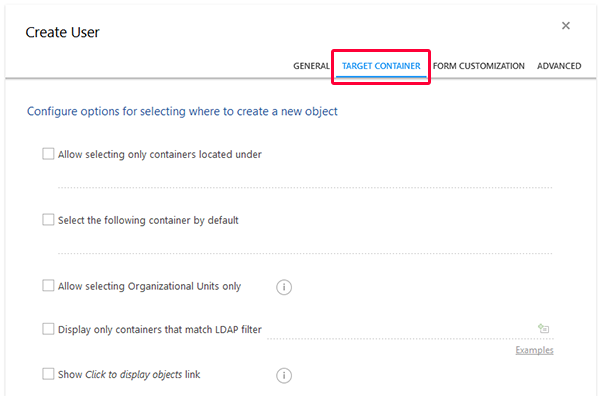 For example, you can allow users to select only containers located under a specific Organizational Unit. 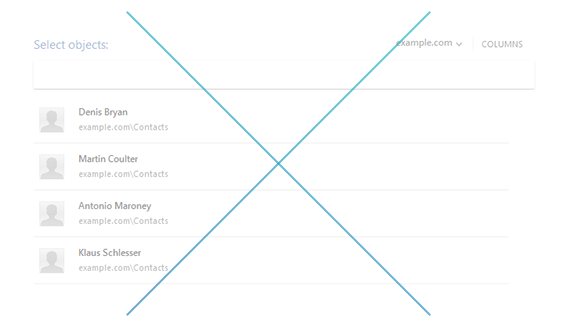 Also, you can allow selecting only Organizational Units that match an LDAP filter. For example, OUs with the word Staff in their names. It is also possible to select a specific container or Organizational Unit y default. You can configure the operation to always use the default location. In this case, the Select Location step will not be shown to users. Select a Create, Copy or Move operation and click Edit. In the dialog that opens, activate the Target Container tab and configure the settings for selecting the location. You can configure the settings for selecting the location in such a way that the list of available containers and OUs will differ depending on who is logged in. For example, you can allow users to select only the containers located under their own Organizational Unit. To have different settings for different users, you need to use value references. Value references will be replaced with corresponding properties of the logged in user's account. 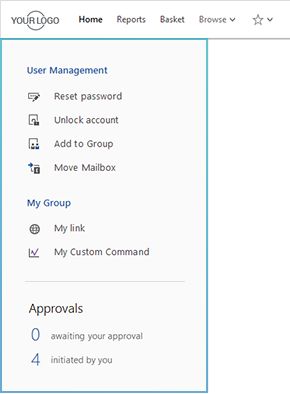 For example, value reference %adm-ParentDN% will be replaced with the distinguished name (DN) of the Organizational Unit where the account of the logged in user is located. Each operation has its own settings that enable you to control all aspects of the execution process. 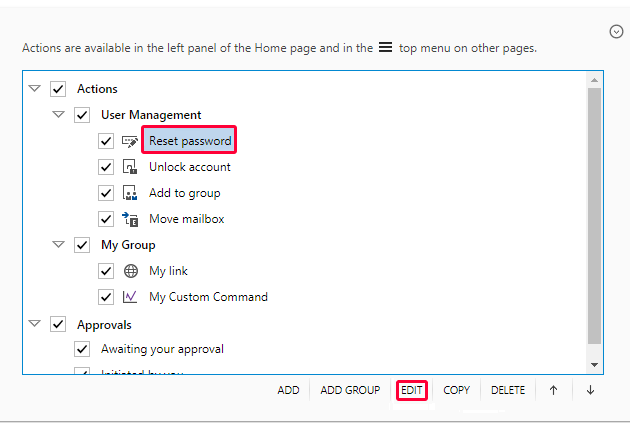 For example, for the Reset Password operation, you can specify a template for the default password, configure the list of Account Options allowed to modify during password reset, provide a custom message with instructions, etc. 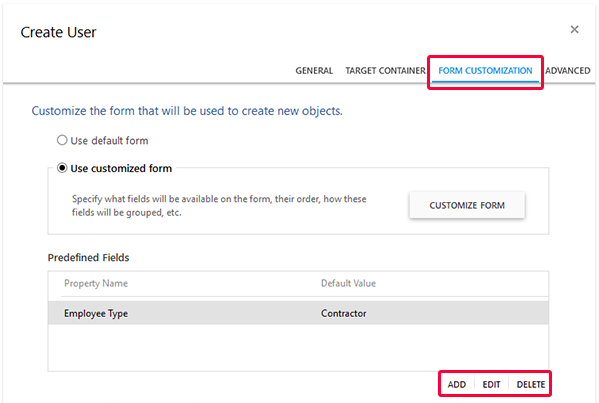 For the Create and Modify operations, you can customize the forms used for object creation and modification. For details, see Customize Forms for User Creation and Editing. You can also provide predefined values for specific properties of Active Directory objects. 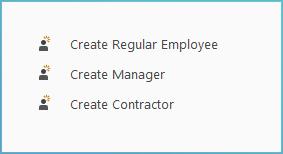 It allows you to, for example, create multiple Create User operations for different employee types, and for each operation specify corresponding value for the Employee Type property. 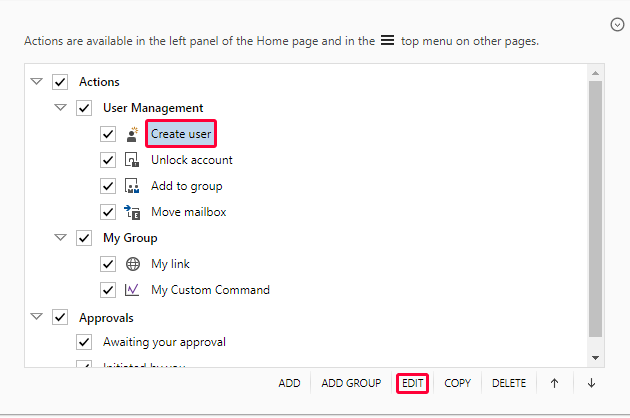 Select a Create or Modify operation and click Edit. In the dialog that opens, activate the Form Customization tab. To add, edit and delete predefined property values, use the buttons located in the Predefined Fields section. You can use value references (e.g. %department%) in predefined values. Value references will be replaced with corresponding properties of the logged in user. For example, if you want the Department property of new users to be equal to the Department property of the user who initiated the operation, you can set the predefined value to %department%. 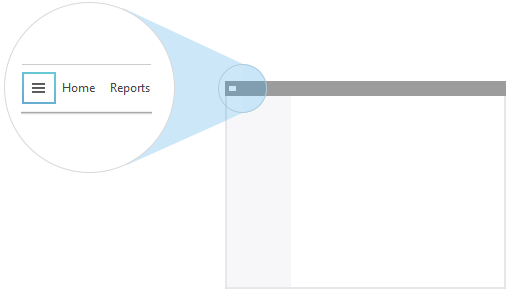 The Actions pane can display information on the requests awaiting the user's approval or initiated by the user. 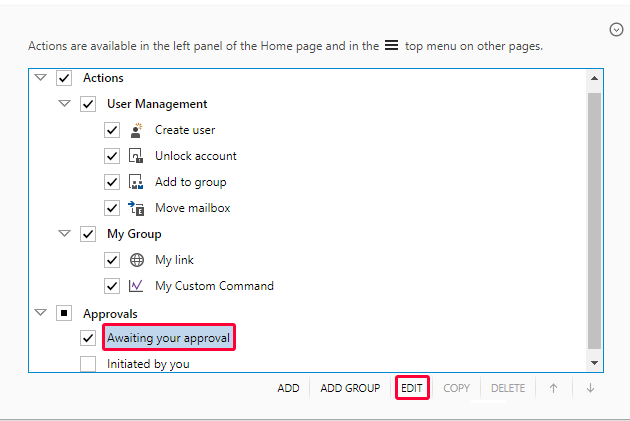 To hide the Awaiting your approval or Initiated by you item, uncheck it in the list. To configure an item, select it and click Edit.